The unique feature of the Lifts All weightless handling system is the Bal-Trol balancer - It is a single-acting pneumatic powered cylinder which lifts up to 600 kg. The lifting height is adjusted to the demands of the user. Standard is 1,5 metres, up to eight metres can be delivered. The user easily adjusts the speed up and down in a second by controls on the gripper. The unit is made of aluminium which makes it light and easy to move with an overhead crane system or jib crane. Vacuum lifters, we recommend to material that has a relatively dense and smooth surface. All smart lift Manhattan, also called mini-truck, is the perfect lifting tool when working high load or reaching high levels. Vaculex electrically powered vacuum tube lifters are designed for lifts between 5 and 250 kg. They are simple to install, very easy to use and can be adapted to lift virtually any object. Very easy to use a vacuum tube lifter uses vacuum to grab hold of and lift the load in a single action; the controls are very easy to use and the vacuum tube lifter gently follows your own body movements, as if the lifted object were weightless. With a bottom swivel or an angle adaptor you can rotate or turn the lifted object any way you like, for instance in assembly work. Grippers can lift almost anything. With a vacuum tube lifter you can lift boxes, sacks, drums, sheet metal, computers, crates, kegs & barrels, TVs and much more – depending on equipment and accessories. The design consists of a electric pump, vacuum hose, lift tube, control unit and finally a suction foot or a gripping tool which is adapted to your needs. Lifters can also be provided in Stainless Steel (SS) for clean room environments offering weightless handling with lightweight aluminium track systems or swing jib cranes. Solutions for the food industry. Handling of everything from cheeses, sausages, frozen or fresh meat to sacks of flour etc. 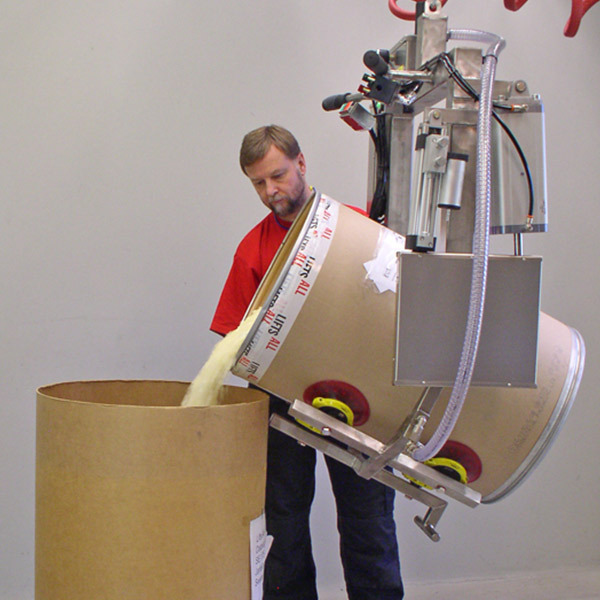 is easily solved with Vaculex lifting equipment. Repeated lifts do not have to be heavy to be both dangerous and costly. 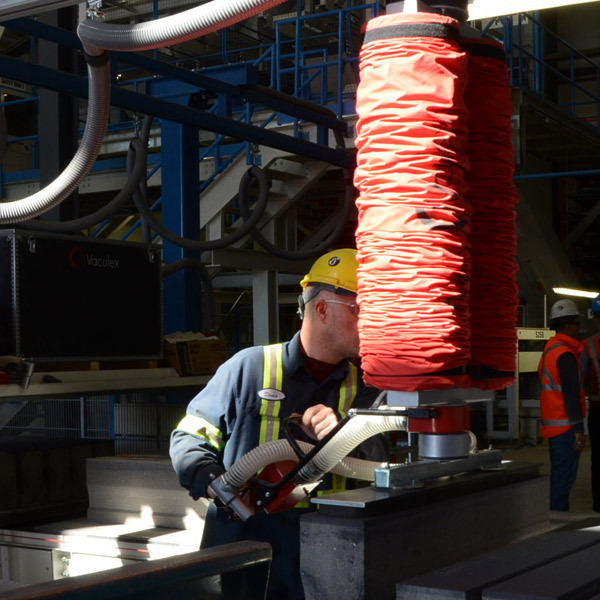 Most often, vacuum lifters lead to an increased work rate and better productivity. Costs for extended periods of sick leave are reduced and rehabilitation periods are avoided. Our vacuum lifters minimize that type of problem and also reduce the risk of accidents that can injure the user as well as damage the goods. Get in touch if you would like to speak to one of our experts on 0161 223 1990 or email us on info@dale-lifting.co.uk or simple fill out the form below. Enquire today and see how we can help!